Hopefully you have read our blog yesterday titled “Facing Foreclosure? 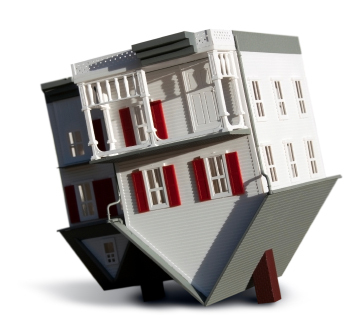 Know Your Options.” This part of the blog will examine how filing a personal bankruptcy can affect a foreclosure action. As soon as you file your Chapter 7 petition, the automatic stay goes into effect. The stay prohibits any further collection activity against you, including the foreclosure. However, the foreclosure is only temporarily halted. At a minimum, it is additional time that you and your family can stay in the home. If the lender is unwilling to work with you, it will file a motion for relief from the automatic stay. If the court grants the motion, the lender will be allowed to proceed with the foreclosure. Any liability you may have for a deficiency balance remaining after the foreclosure sale can be discharged or eliminated in your bankruptcy. It should also be noted that if you have no equity in your home and you plan to surrender it, filing a Chapter 7 provides you the ability to avoid the tax consequences associated with mortgage forgiveness. The Chapter 13 process allows a debtor to restructure debt in a repayment plan. A Chapter 13 plan lasts three to five years and it must be approved by the bankruptcy court. You can include all of your creditors (including your mortgage lender) and make smaller monthly payments that the trustee distributes to each of your creditors according to the terms of the plan. Additionally, if you are past due on mortgage payments, your plan can provide for small payments to cure your delinquency. As long as you are making your timely monthly plan payments, the foreclosure action is halted. You may also be able to modify your mortgage permanently through the mortgage modification mediation program, which has a proven track record of successfully modifying mortgages to keep people in their homes. Bankruptcy can be the difference between losing your home in foreclosure and obtaining a fresh financial start. If you are struggling to pay your mortgage, contact us for a free consultation. This entry was posted in Foreclosure and tagged bankruptcy, Chapter 13, Chapter 7, foreclosure on October 8, 2014 by Michael Faro.